The purpose of the Storm organization is to provide athletes instructional opportunities that promote family, academics, teamwork, increase skill knowledge, and encourage communication between parents, athletes, and coaches in a positive environment. Welcome to the Topeka Storm Softball organization and thank you for your interest in our program. My name is Buck Breckenridge and I’m the founder and director of the organization. This organization was founded in 2009 on three basic principles: honesty, integrity, and respect. These principles were instilled in me as a youngster and I used these principles as a softball coach at the University of Northern Colorado (UNC). Honesty, integrity, and respect are embodied in everything we strive for in the Storm organization. 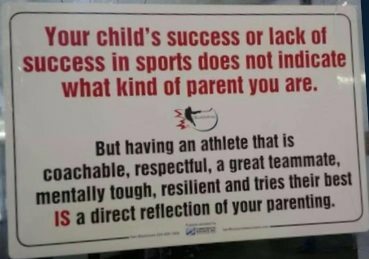 Your daughter will be coached in a positive, respectful manner at all times along with being pushed to be her very best. Our athletes work hard and it’s their hard work combined with our teaching techniques that produce incredible results. We currently have 11 teams in our organization ranging from 8U to 18U. Our resume of accomplishment is wide-ranging and impressive. We’ve won Kansas State Championships, Missouri/Kansas State Championships, Placed 2nd and 3rd in World Series, and have won more tournament championships than I can mention. Our teams have even competed in one of the Nations top 10 tournaments, the Top Gun Invitational. The philosophy of our organization and every team is this - hard work creates great results. We expect every athlete to compete to the very best of her ability and earn everything. We expect the athletes to be great teammates and parents to support the team. We’re so committed to the principle of respect in everything we do that athletes sign a commitment agreement, holding them accountable for their actions on and off the field. In addition, parents also sign conduct agreement, holding them accountable for their actions. Thank you for your interest in Topeka Storm Softball. We will strive to make it an enjoyable experience for you and your daughter. Our philosophy is not questioning/arguing with umpires. This is disrespectful and is not the example we should be setting for our athletes. Our tryouts are always after Nationals, not before, and you may wonder why? Simply put, we believe it’s unethical to hold tryouts with games remaining on the season’s calendar, regardless if your team is participating in those tournaments. Before you commit to one of those teams, give the Storm organization an opportunity to work with your daughter. In our organization, your daughter will be exposed to the highest level of softball coaching and philosophies. The game of softball is no longer just a game of power, it’s a game of strategy, finesse, and power. Our tryouts are like no other; they’re fast paced, fun, and informative. Many athletes have said “I learned more during this tryout than I did all last season”.